Line a large deep tray with half the sponge fingers and drizzle over half of the coffee. Beat the CARTE D'OR Chocolate Mousse Dessert Mix with the milk until thick. Spoon half the mixture over the coffee soaked sponge fingers. Repeat with the remaining sponge fingers, coffee and chocolate mousse mixture. Whip the cream and spoon over the top. Dust with cocoa powder and cut into individual portions to serve. 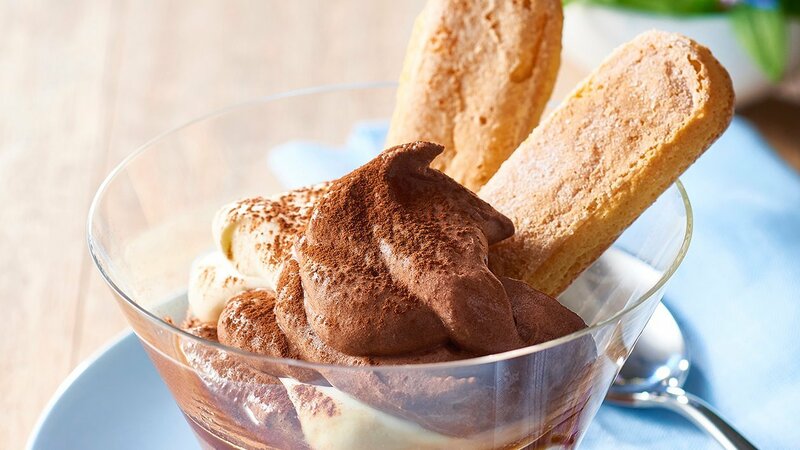 Serve this dessert in glasses drizzled with coffee as shown.